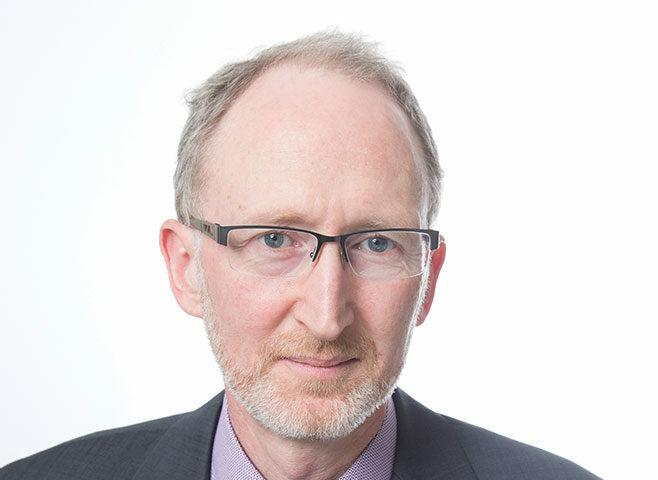 The role of the Commission for Reugulation of Utilities (CRU) is to provide consumers with a degree of stability – in a very uncertain world – according to the organisation’s Chair Paul McGowan. “We strive to operate to the highest standards, in order to deliver for the public good at all times,” he says. CRU’s primary economic responsibilities in energy are to regulate the Irish electricity and natural gas sectors. This covers electricity generation, electricity and gas networks, and electricity and gas supply activities. As part of its role, the CRU jointly regulates the all-island wholesale Single Electricity Market (SEM) with its counterpart in Northern Ireland, the Utility Regulator. The overall aim of the CRU’s economic role is to protect the interests of energy customers, maintain security of supply, and to promote competition in the generation and supply of electricity and supply of natural gas. But it is the evolution of new, smart technologies within the energy sector which McGowan sees as the development that will most empower Irish consumers over the coming years. “Smart metering and the establishment of a complementary infrastructure will allow consumers to obtain real time information regarding the electricity they are using. “It will also allow energy users to come on and off grid in a totally flexible way. This, in its own right, should allow consumers to secure the energy they need at an optimal price. McGowan indicates that the roll out of smart meters was a development which energy users throughout Ireland both wanted and expected. According to the CRU Chair, the roll out of the smart metering infrastructure is projected to get underway in 2018. “We are in regular contact with ESB Networks on the matter,” he says. Smart meters work by giving a detailed perspective of actual energy usage. In turn, this provides consumers with a mechanism to reduce their electricity bill by enabling the consumer to shift some of their electricity usage away from peak consumption times. The new technology also informs consumers of their actual usage in electricity and gas, therefore allowing them to avoid unnecessary consumption and cost. Turning to the issue of SEM, McGowan says that its successor, the Integrated Single Electricity Market (I-SEM) will go live on 23 May 2018. “The SEM Committee agrees that the project programme should be re-profiled. This re-profiling will ensure that all of the key I-SEM systems will be ready over the coming months and provide an additional period of system trials for market participants. “The period of testing and formal trialling of systems will run in parallel with the existing SEM market from January 2018. The proposed go-live date for I-SEM will be 23 May 2018. I am fully aware of the tremendous commitment made by all stakeholder groups in making I-SEM a reality. “What we need now is a period of full engagement involving all interested parties. I can also confirm a full commitment on the part of the regulator post-Brexit,” he adds. Where natural gas is concerned, McGowan confirms that CRU had just published consultation papers on Gas Network Ireland’s transmission and distribution revenues, with reference to the PC4 price control period. These set out CRU’s proposals regarding Gas Network Ireland’s allowed transmission and distribution revenues for the period from 1 October 2017 to 30 September 2022. He adds: “The bigger challenge remains that of decarbonising the Irish energy sector. Many people view natural gas as the gateway fuel, which will allow this to happen. “This will only happen if gas is made available at a competitive price, one that will make sense for consumers while, at the same time, allowing suppliers to remain viable. “Natural gas should no longer be assumed as the fuel of choice for new housing developments. There is also the cost associated with the conversion of current heating systems with natural gas fuelled options. McGowan confirms that the connection policy for networks is undergoing a major overhaul. “Our aim is to put in place a strategy that will meet the country’s need from 2020 onwards. And, in so doing, we are taking a stepwise approach. The CRU Chair confirms the recent completion of a major study, assessing the degree of competition in Ireland retail gas and electricity markets. He highlights the differing experience of active and inactive customers, where Ireland’s gas and electricity markets are concerned. “Significant progress has been made across the board,” he says. “However, concerns still exist, given that the market is not delivering uniformly for all its customers. There is also a requirement to further investigate the input costs levied on consumers and how these are broken down. “The role of CRU is to ensure that energy users are treated in a fair and equitable manner by suppliers at all times. McGowan concludes by referencing the ongoing OECD peer review of CRU. “This is a vitally important process, as it allows a fully independent body to assess the quality of the work and decision making processes put in place with CRU.